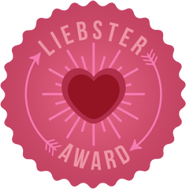 Thank you, Devika Fernando, for nominating my website for the Liebster Blog Award! This looks like fun, and I love it when authors / bloggers support each other. Go to each new blogger’s site and inform them of their nomination.To learn more about the Liebster Award, check out this post by Lorraine Reguly. I used to make cross stitch patterns and get them framed. Also worry over most things. I like restaurant food better. I don’t like rash driving or loud music. I like to spend quiet time reading or watching a romcom. I sometimes have fun in writing by making my characters do funny things. I lose track of time while writing. I would love to write a murder mystery. Can’t think of even one, let alone three. I mean I may not share everything with everyone, but do share different things with different people who are close to me. Buy a luxury villa, and buy all the books of my favourite authors and author friends. Also tour the world. I’ve got published and got promoted at work, so that’s on the achieved list. I’m still to reach the target of earning big through writing. I would like to retire in a hilly place with lots of greenery and a quiet sort of life. Travel…well, anywhere where I’ve not been before would do. Well, obviously somewhere scenic. 5. Favorite drink on a Friday night? I guess what I drink every night. Milk. No alcohol for me. And sometimes I don’t have an off on Saturday, so no tea/coffee as it keeps me awake. Don’t have a different set of rules for them than yourself. If you overlook your own mistakes, cut them some slack too. And above all, encourage your partner in what they want to do. Procrastinating, confused, forgetful…oh I have many more adjectives like those. I like to cook for my family but at weekends one does like to take a break. Happiness occurs in random slices. The key to happiness is getting what you are aiming for at that moment. It doesn’t always happen, so the second option is try to grin and bear it as much as you can and put in your energy in the next battle. Enjoy your time with your family. I think the above questions are quite interesting so I will ask my tagged friends to answer these. 🙂 Skip any you don’t like and add any you’d like to! Those not blogging at the moment will be posting on Facebook.